Kuniskis: Better supply and new procedures may end some of the big market adjustments. DETROIT -- Fiat Chrysler will more than double production of hard-to-get Hellcat versions of the Dodge Challenger and Charger for the 2016 model year. But about 900 consumers who ordered a 2015 Dodge Challenger or Charger SRT Hellcat and never received their 707-hp muscle car will have to get back in line. Their unfilled orders are being canceled by the factory -- though those customers will receive a voucher that will allow them to buy the more expensive 2016 at the 2015 price. The price increase has not yet been announced. The Hellcat cars created marketing and Internet buzz for Dodge -- very welcome for a brand rebuilding its high-performance credibility. But dealers who accepted more orders than they could fill or put huge market adjustments on the cars sowed some ill will. For example, one dealer in a northeast Ohio town of 6,000 took deposits and put in orders for more than 200 Hellcats -- many more than the dealer would ever receive. 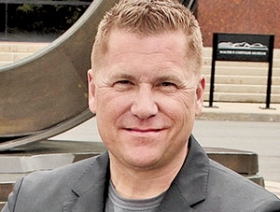 "For the 2016 model year, we're starting fresh," Tim Kuniskis, Dodge brand head, told Automotive News. Canceling customer orders "is probably not what they want to hear, but we're going to do it so that we have a fresh, clean slate going forward with everything that we learned in 2015." Dodge also is changing the way dealers receive Hellcat allocations and place orders, Kuniskis said. The number of Hellcats dealers receive still will be based on the total number of Dodge vehicles they sell in a given period. But dealers will be told exactly how many Challenger and Charger Hellcats they will receive between the start of 2016 production in September and February, as well as their total potential allocation for the year. And, in another big change, dealers won't be able to place orders above their allocation. And if they don't sell the cars quickly when they receive them -- which can happen, for example, if a dealer jacks up the price with a large market adjustment -- the dealers could lose some of their future Hellcat allocation, Kuniskis said. Dodge will start taking 2016 orders the week of Aug. 10. To explain all of this, Dodge will call the hundreds of consumers with unfilled orders for 2015 Dodge Challenger and Charger SRT Hellcats that FCA US has on file, Kuniskis said. The calls will begin today, July 27. He estimated the order number as "around 900" but said there likely are duplicates from individuals who placed orders at as many as three dealerships in hopes of getting a car. Some 2015 orders still will be filled because 2015 production is continuing. The consumers will be informed that their factory orders are being canceled, but if they are still interested, they will receive a voucher -- usable by that individual only -- that will hold the 2015 pricing, at least from the factory. Kuniskis said he hopes the additional production -- "it's not a few more; it's a lot more" -- will address some of the high-price demands that some dealers were making for 2015 Hellcats. The Dodge boss won't say exactly how many more Hellcats will be built for the 2016 model year. 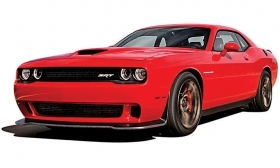 During the first half of 2015, the company built about 4,000 SRT Hellcats. For 2016, the Hellcat build rate will be more than twice as high, Kuniskis said. Increased 2016 Hellcat production will result in broader distribution for FCA's 2,400 Chrysler-Jeep-Dodge-Ram dealers. Kuniskis said he hopes more Hellcats, and a different allocation and ordering process, will end some of the more egregious dealer practices that occurred with the muscle cars during the 2015 model year. Dealers will receive their full 2016 model year allocation potential in August. The allocation and ordering will occur in two cycles, one beginning in August and the second beginning in February. For example, if a dealer is allocated a total of 50 Hellcat Chargers and Challengers for the year, the first batch of 25 can be ordered beginning in August. After the dealer places his or her 25 orders, FCA's ordering system won't let him or her place another order until the allocation period reopens in February. The dealer can lose some of those second potential 25 orders based on the dealer's Hellcat "days on lot" performance.